​​​​​​​​VF Corporation is a Purpose-led, performance-driven and value-creating organization. Our relentless pursuit of business success is fueled by our desire to use our scale and resources to improve people’s lives and make the world a better place. We don’t just make the world’s best apparel and footwear, We power movements of sustainable and active lifestyles for the betterment of people and our planet. This is our Purpose. It’s why we come to work every day. It is a commitment shared by our nearly 70,000 associates across more than 20 brands, uniting us as One VF and leads us to pursue our goals together. At VF, we aren't just a company. 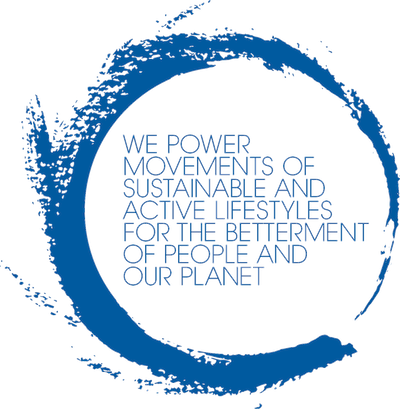 We are a global community of Movement Makers. Our Purpose statement was developed over the course of one year using a thoughtful approach that included input from more than 1,000 VF associates around the world, and external stakeholders and experts. The result? We confirmed that our Purpose is not only who we are today, but who we have always been. Respect for people and our planet has underpinned our decision-making and actions since our founding in 1899. Providing products that support active lifestyles of all types is tightly woven throughout our heritage. WE POWER is about how the collective "WE" of VF use our size, scale and resources to influence the industry, and the people whose passions we fuel, in a highly impactful way. MOVEMENTS are focused and sustained efforts in collaboration with our entire ecosystem of stakeholders, creating positive societal impact based on shared ideas and the vision of a better future. SUSTAINABLE is about facilitating the ability for individuals, communities and our planet to thrive, and meeting our fundamental needs for well-being and fulfillment. ACTIVE means engaging in energetic and fulfilling pursuits that allow us to show up and lean into life with our whole selves — emotionally, physically and socially. LIFESTYLES speak to connecting more deeply to the ways of life that are expressed through the behaviors, customs, cultures and activities of our consumer ecosystem. FOR THE BETTERMENT OF PEOPLE AND OUR PLANET answers the fundamental question: To what end are we doing all of this? It’s the reason our Purpose matters. And it gives greater meaning to the work we do. Our Guiding Principles inform how we show up in all aspects of our work. They set forth the expectations we have for ourselves and each other. Embracing these behavio​rs and attitudes as a whole enables us to foster an inclusive and respectful culture where everyone can thrive. ​Live with Integrity. Be authentic and do the right thing, always. Act Courageously. Think and a​ct boldly. Be Curious. Explore the world, learn and evolve. Act with Empathy. Seek to understand and respect others. ​Persevere. P​ersist and work together as One VF. Being Purpose-led and powering movements enables us to have a positive impact on communities around the world, as well as on the evolution and growth of our business. The cycle of Purpose and profit creates ongoing opportunities for VF to leverage our business success to accelerate actions that fulfill our Purpose, and vice versa. When we get it right, we can do well while also doing good, creating a virtuous cycle.